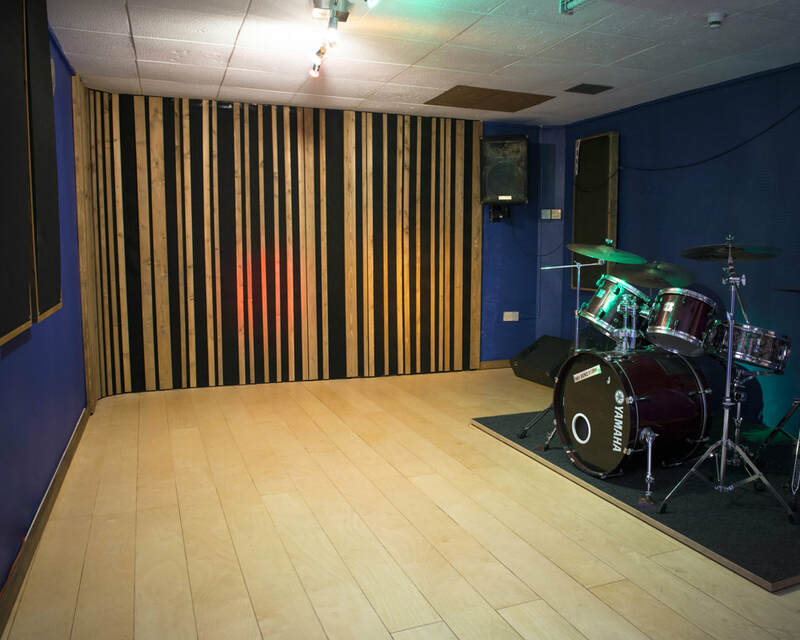 an ongoing project to redesign and remodel musicians' rehearsal spaces at Newcastle's longest-running studios. 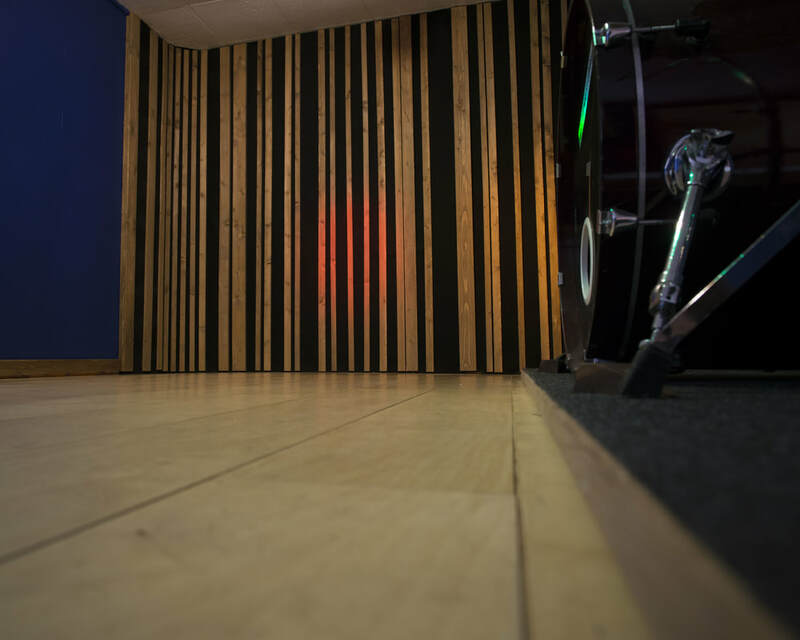 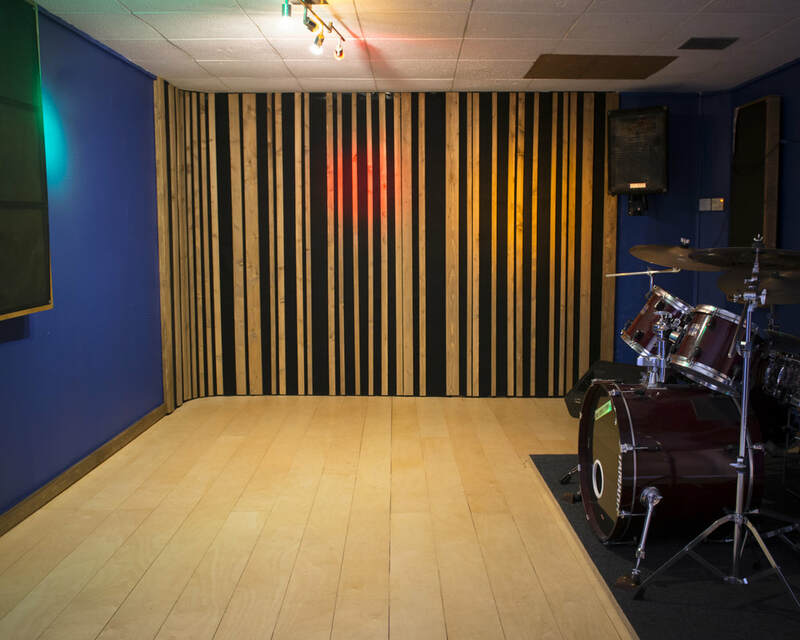 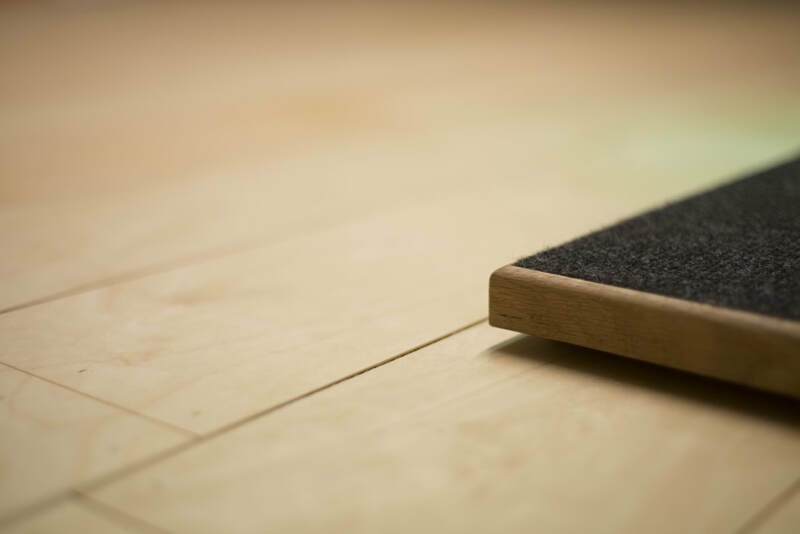 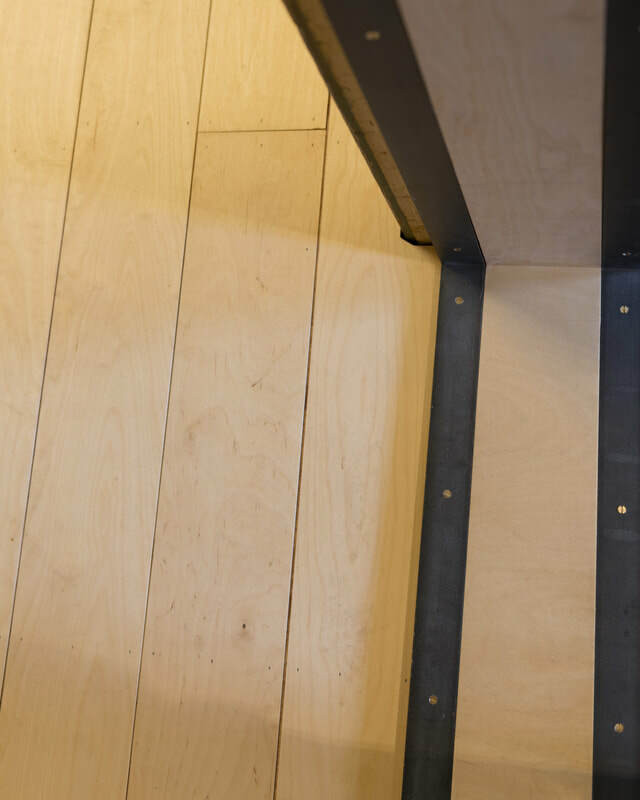 Lamella floors, topped with high-grade birch ply boards, and bespoke wall panels contribute to a well-balanced live space where bands can enjoy their sessions without fighting the excess of reverberation that is usually present in rehearsal spaces. 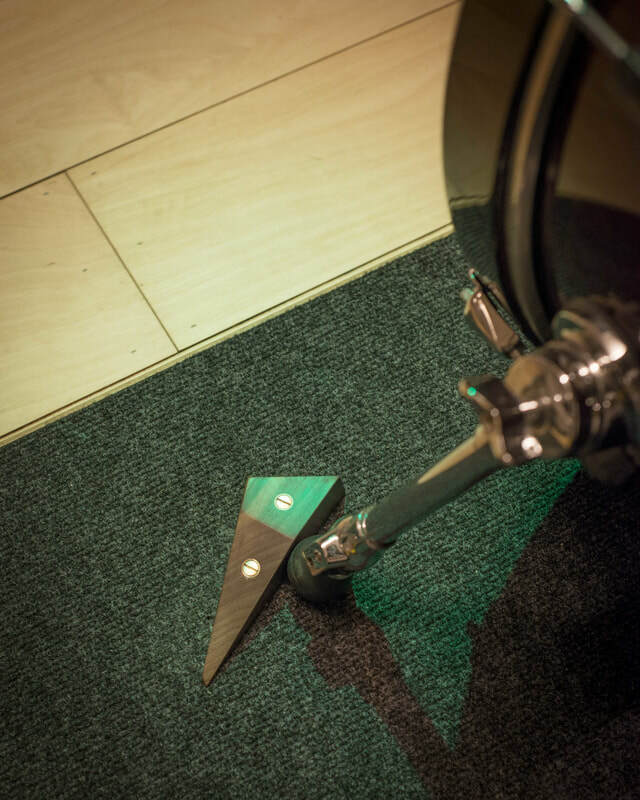 The lamella construction runs through to the isolated drum risers to provide a tight percussive sound. 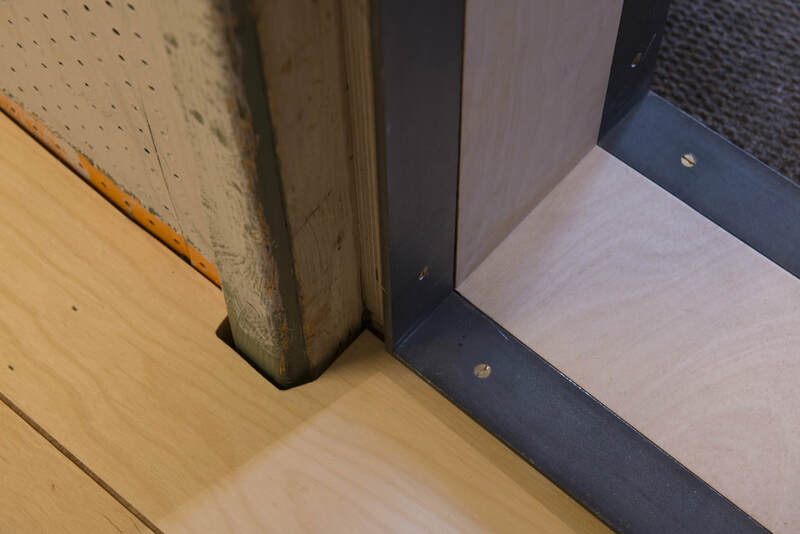 Double doors keep bleed to a minimum - custom designed steel plate seals mate perfectly with industrial rubber seals rebated into the doors to provide high levels of soundproofing whilst also resisting the passage of heavy flight cases and cabinets.